Don't obsess about "optimal" supplement regimen, start training, eating, sleeping and exercise the patience it takes to reverse years of sedentary pizza eating. 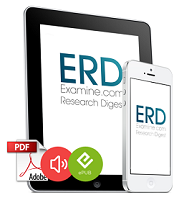 For today's installment of these "Short News", I've selected a study that discusses the impressive effects of a "gout drug" on exercise induced muscle damage and a study that takes another look at the ever-so-popular issue of "optimal" protein supplementation - an issue some of you are investing so much energy in that it is no wonder that they're not making the gains they would want to. Too much ado about protein? Interesting observation: Xanthine oxidase inhibitor Allopurinol, which is usually used to treat conditions that are cause by increased uric acid levels (e.g. gout), dampens exercise induced muscle damage in trained individuals. The results of a recent study from the University of Valencia clearly demonstrate that the use of 300 mg of allopurinol 4h before a soccer match, lead to significant reductions in all measured markers of muscle damage in those six out of twelve professional soccer players who had been randomized to the active arm of the study (Sanshis Gomar. 2014). Now, unfortunately, a reduction in muscle damage that is facilitated by the inhibition of an enzyme that generates reactive oxygen species is - as you should by now have learnt from the dozens of posts on hormesis and the beneficial effects of exercise induced increases in reactive oxygen specie, not exactly desirable. The authors' conclusion that their observation was a great thing and could be used by athletes all around the world is thus probably only valid with respect to in professional soccer players and other elite athletes who are trying to avoid overuse injuries... and even for their health blunting the ROS response to exercise permanently probably isn't going to be exactly conducive to their health. 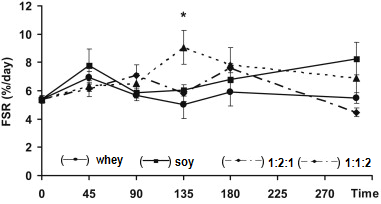 Scientists from the University of Texas Medical Branch, the Texas A&M University, the Arizona State University and the University of Utah found that a blend of soy and dairy protein slightly prolonged net amino acid balance across the leg as compared to whey protein alone, when it was ingested right after a workout. Remember? Only recently you've learned here at the SuppVersity that Whey + Casein outperform Whey + BCAA + Glutamine and you bet that this combo will also outshadow the combination of whey, a fast digesting protein and soy, with an only minimally more sustained digestion pofile (for suggestions see bullet-points below). In the soon-to-be-published paper, to which I do unfortunately not have access, the scientists emphasize that it is not the fractional protein synthesis rate or the mRNA expression of selected amino acid transporters (LAT1/SLC7A5, CD98/SLC3A2 SNAT2/SLC38A2, PAT1/SLC36A1, CAT1/SLC7A1) which made the difference, but rather the fact hat "the ingestion of the protein blend resulted in a prolonged and positive net phenylalanine balance during post-exercise recovery as compared to whey protein" (Reidy. 2014). Now, eventually this is no news. I wrote about a similar phenomenon with whey protein only recently (learn more) and some of the researchers who were part of the study at hand have actually presented very similar results (albeit from a rodent study) in the August edition of Clinical Nutrition last year. Please keep in mind, though that I have no scientific evidence to confirm that this would be "optimal" - it's just what I would say appears logical based on the current evidence we have. Instead of whey hydrolysate you can also replace this and the whey concentrate by an isolate. So that you would end up at whey isolate : micellar casein ratios of 10:1, 2:1 and 4:5 - got that? Bottom line: Eventually, there is just one practical conclusion to be drawn from today's news potpourri: There is no need to limit your net protein synthesis with "pure" whey proteins, because this is what most studies use and many of the bros recommend. As far as the use of xanthine oxidase inhibitors are concerned, I have my doubts whether that is not going to produce more problems than solve. And as far as the "optimal" ratio of fast- to slow-digesting proteins for maximal protein anabolism is concerned, I can only tell you that it would require 100 studies to get a decently reliable idea of what the "real" optimum for a certain population and training style was.... but don't grudge. In the end those few %-ages of FSR certainly won't be the reason you are not making the gains you are aspiring - so keep looking for excuses and start removing the true obstacles that are standing between yourself and the physique of your dreams. Butteiger, D. N., et al. "A soy, whey and caseinate blend extends postprandial skeletal muscle protein synthesis in rats." Clinical Nutrition 32.4 (2013): 585-591. Sanchis‐Gomar, F., et al. "Allopurinol prevents cardiac and skeletal muscle damage in professional soccer players." Scandinavian Journal of Medicine & Science in Sports (2014).